In a world where the bones of an ancient beast tower over the land… The Knight Zephy is part of an order whose role is to hunt down witches—people seen as cursed beings for giving birth to dragons. When he is almost killed on one of these missions, two mysterious witches save him from the brink of death by feeding him dragon blood. Granted new magic abilities by their efforts, he soon finds his fate intertwined with the witches and reluctantly joins them to fight against an Empire out to destroy his kind, ruthless dragon hunters, and a witch more powerful than any in existence. Can they fight all this and save themselves, or will his new allies succumb to the dragon’s curse…? 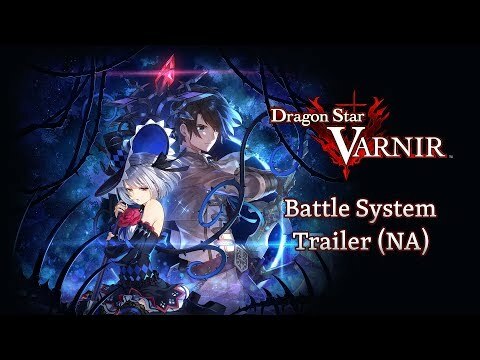 The upcoming Dragon Star Varnir PS4 release date is June 11, 2019 in the US and the UK. Notify me when Dragon Star Varnir PS4 is available.